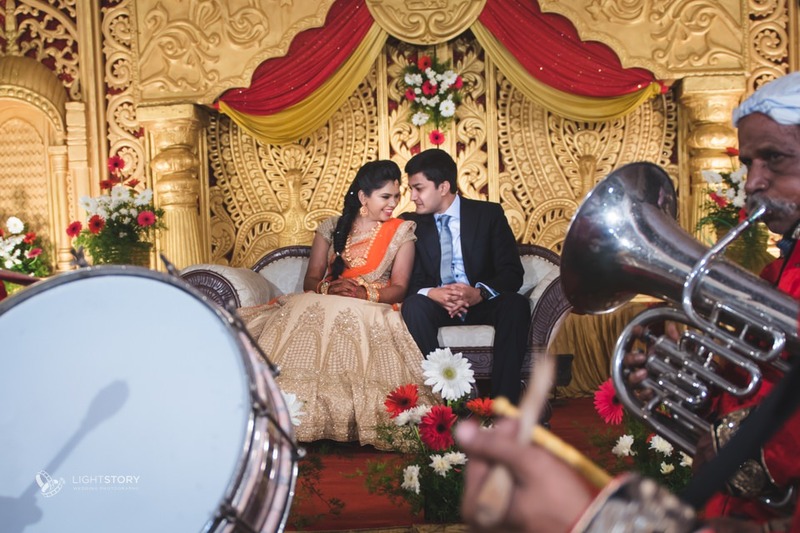 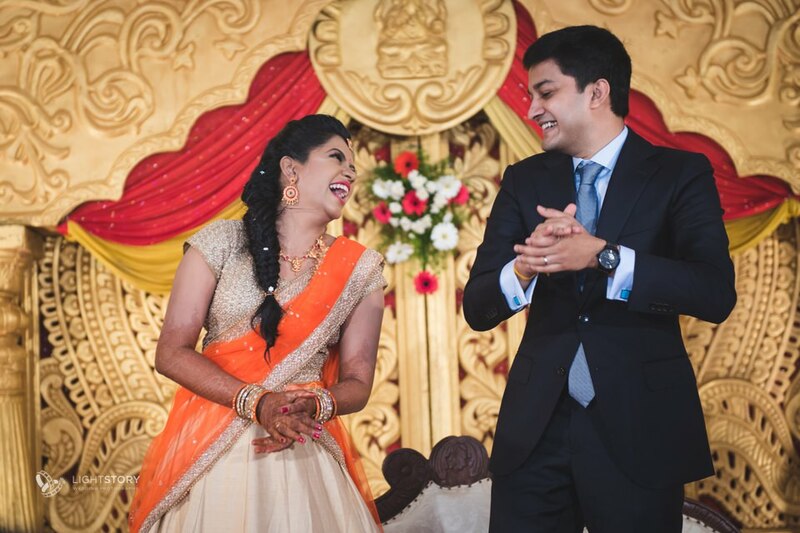 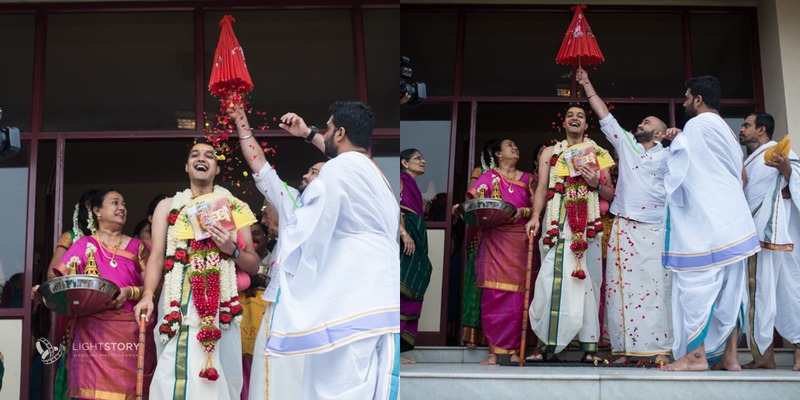 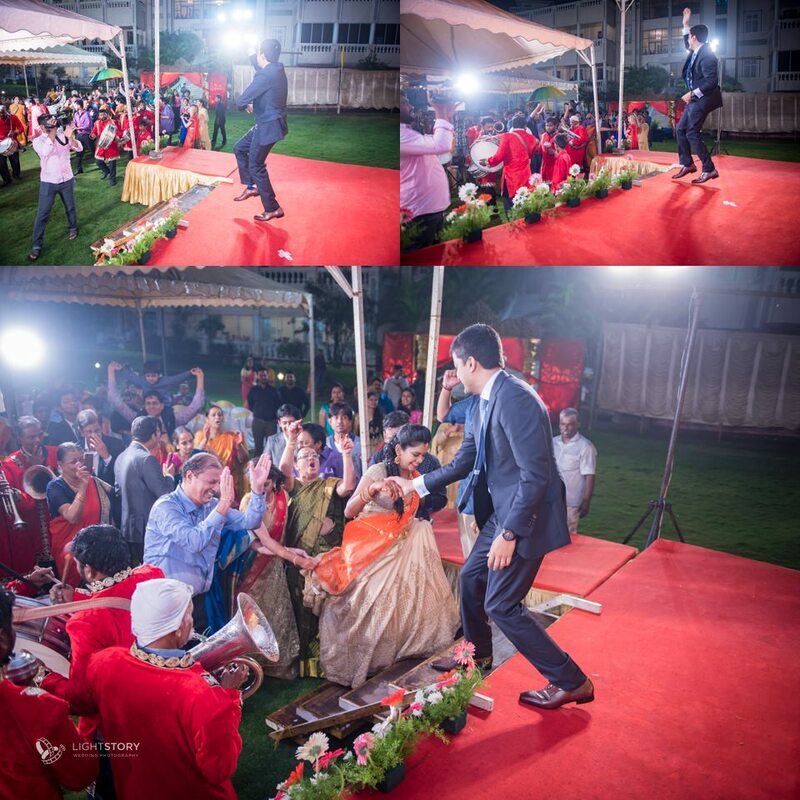 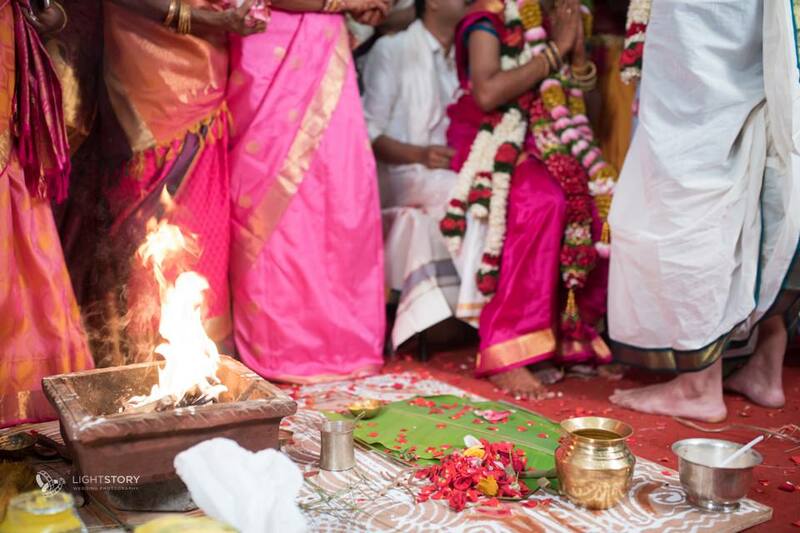 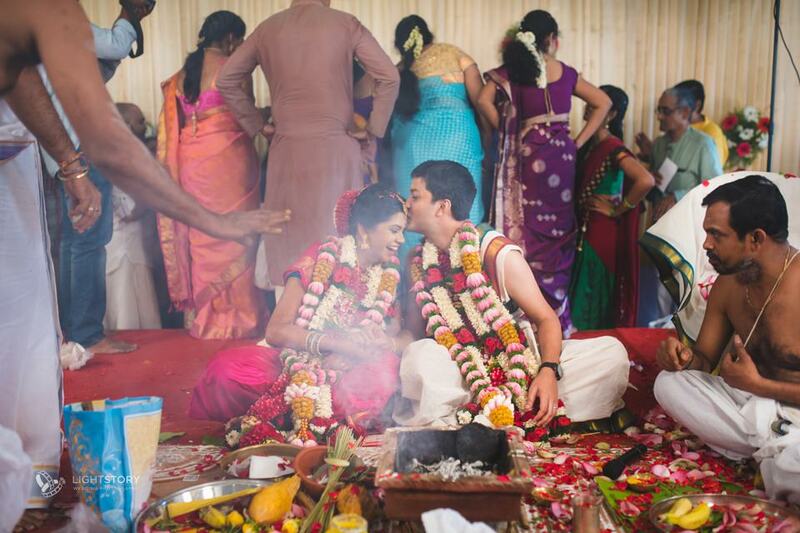 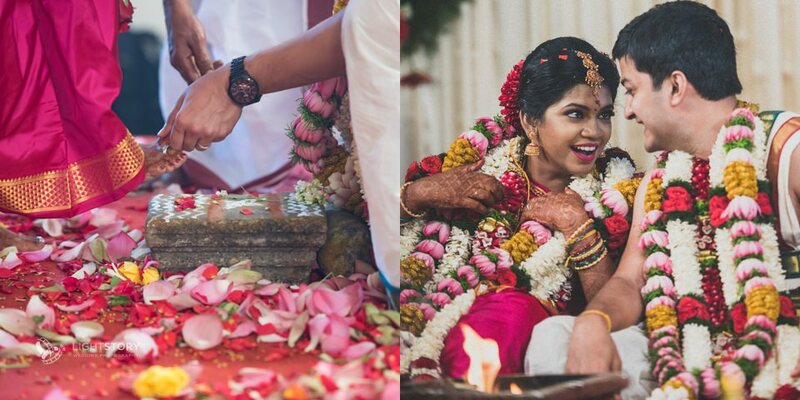 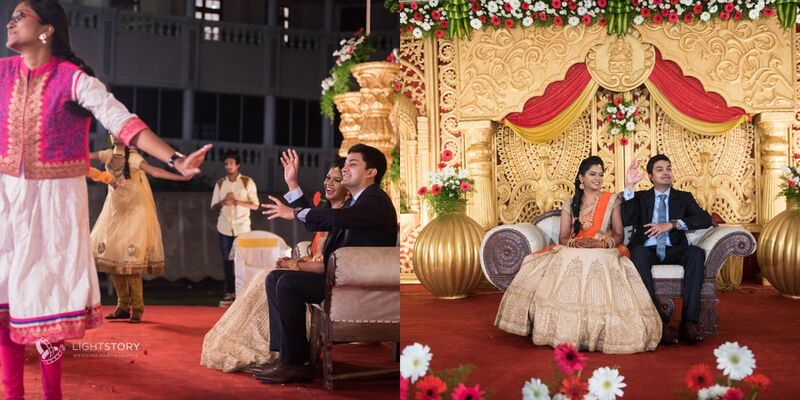 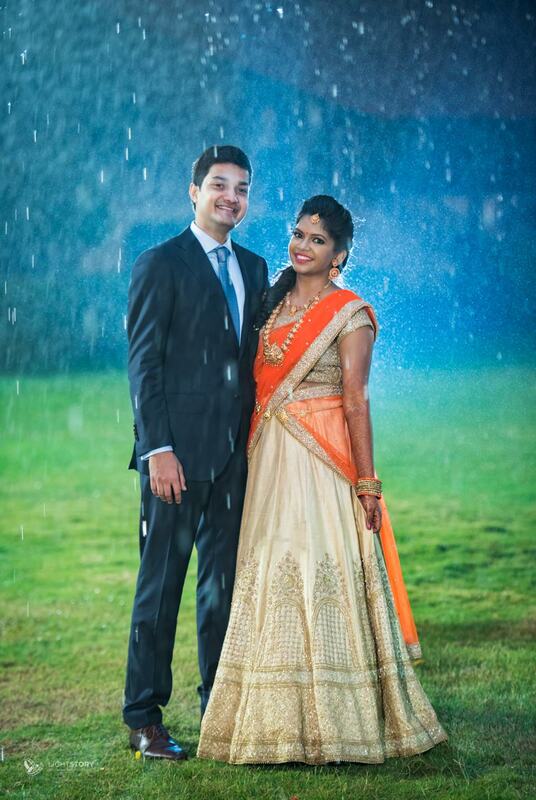 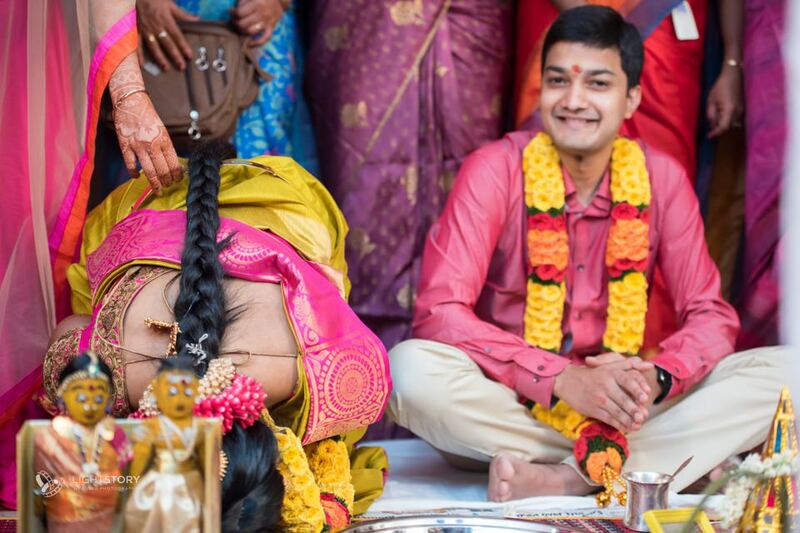 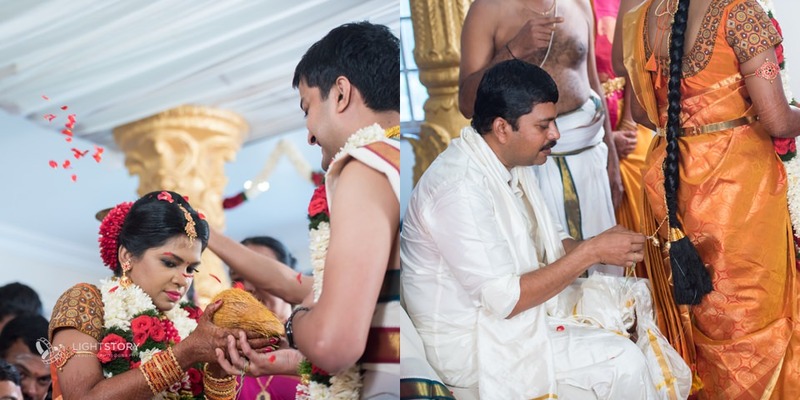 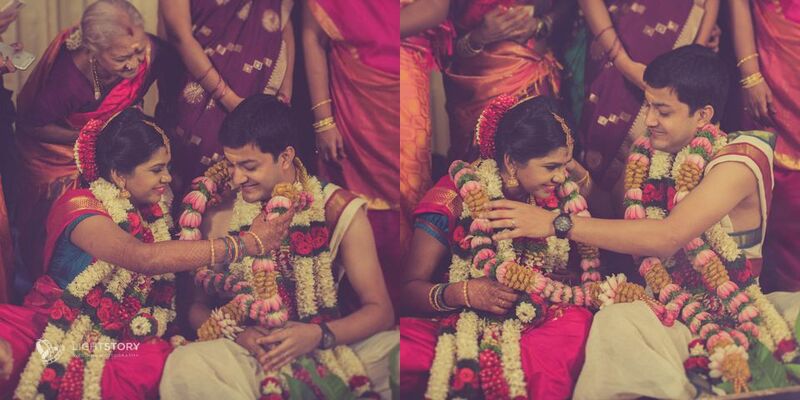 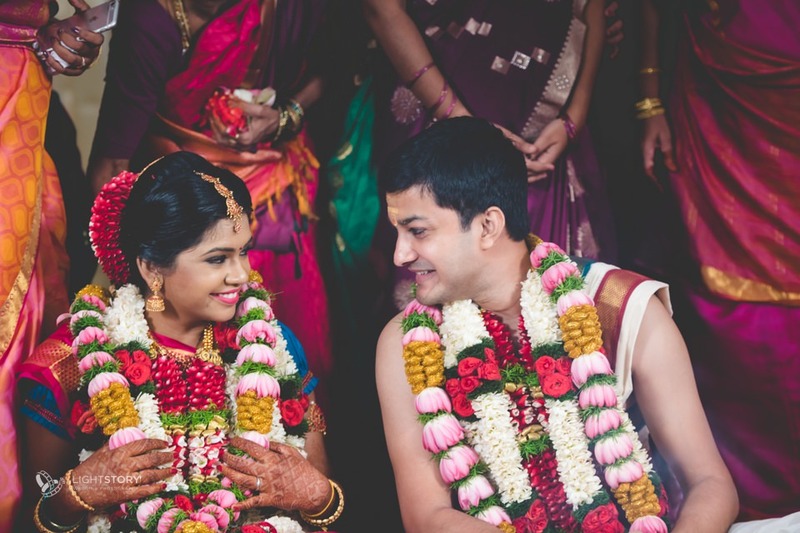 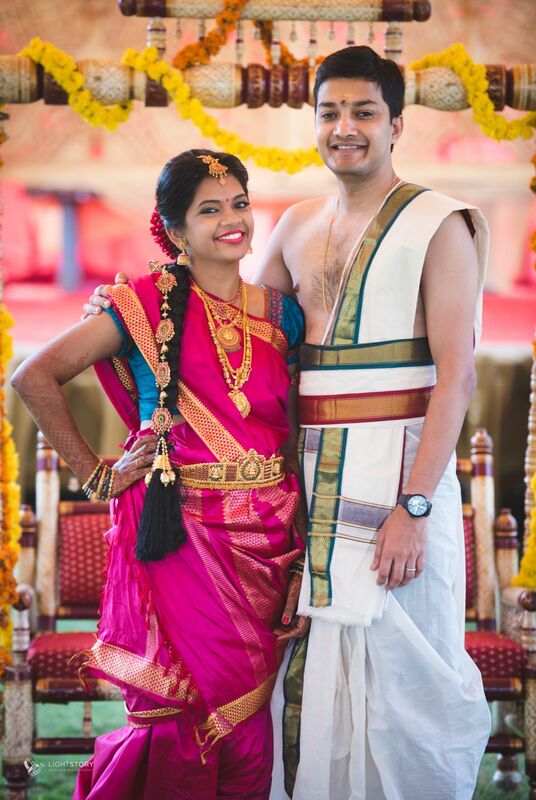 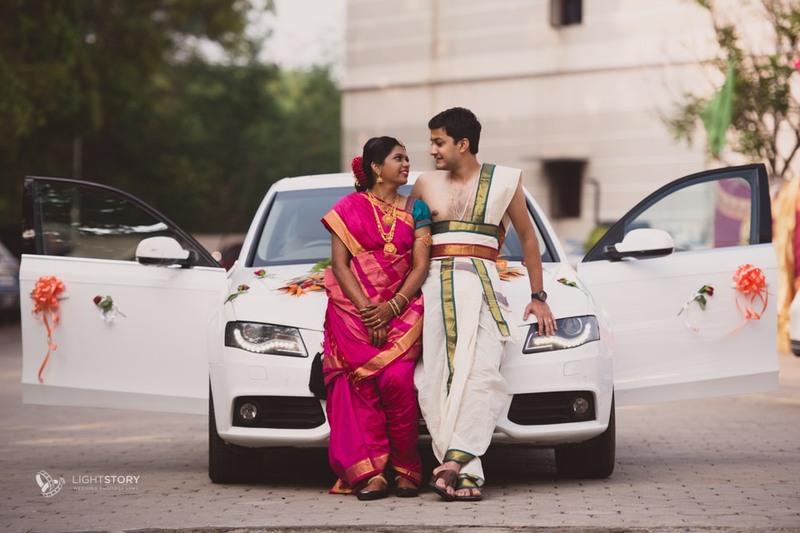 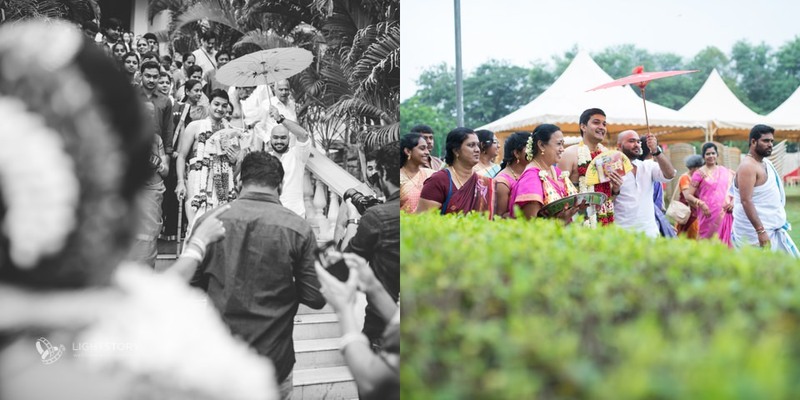 Gayathri and Mahesh got married in the beautiful city of Coimbatore! 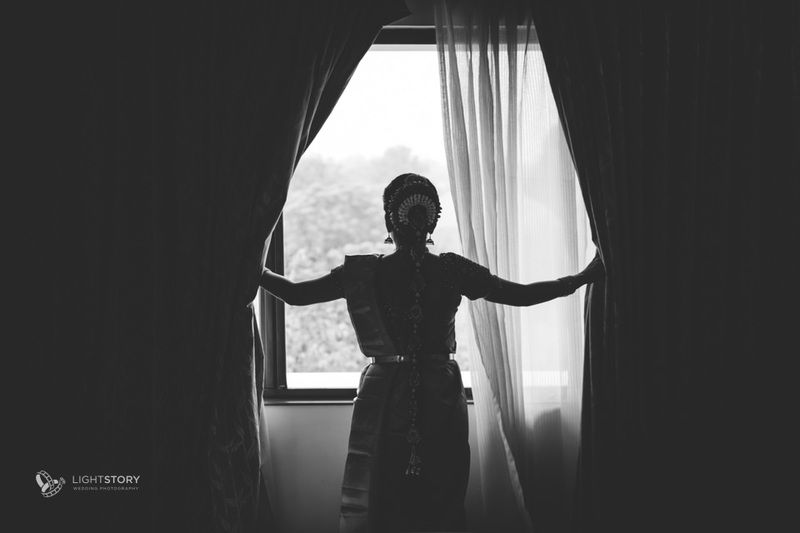 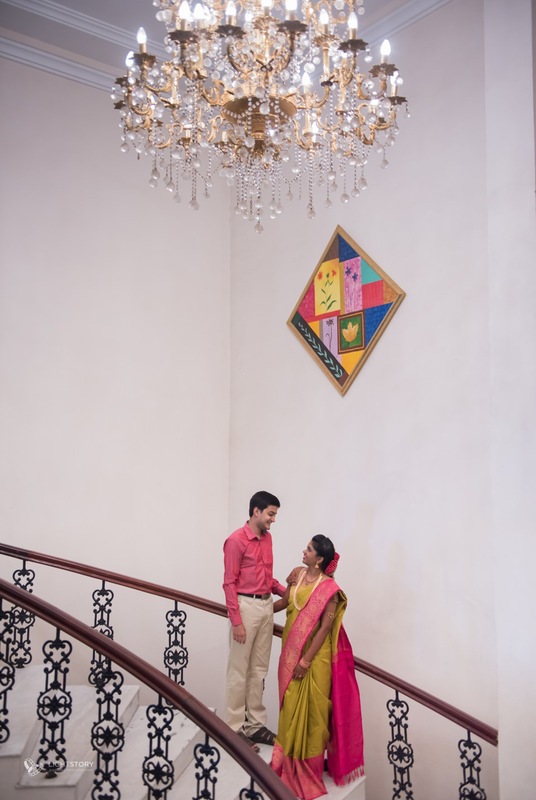 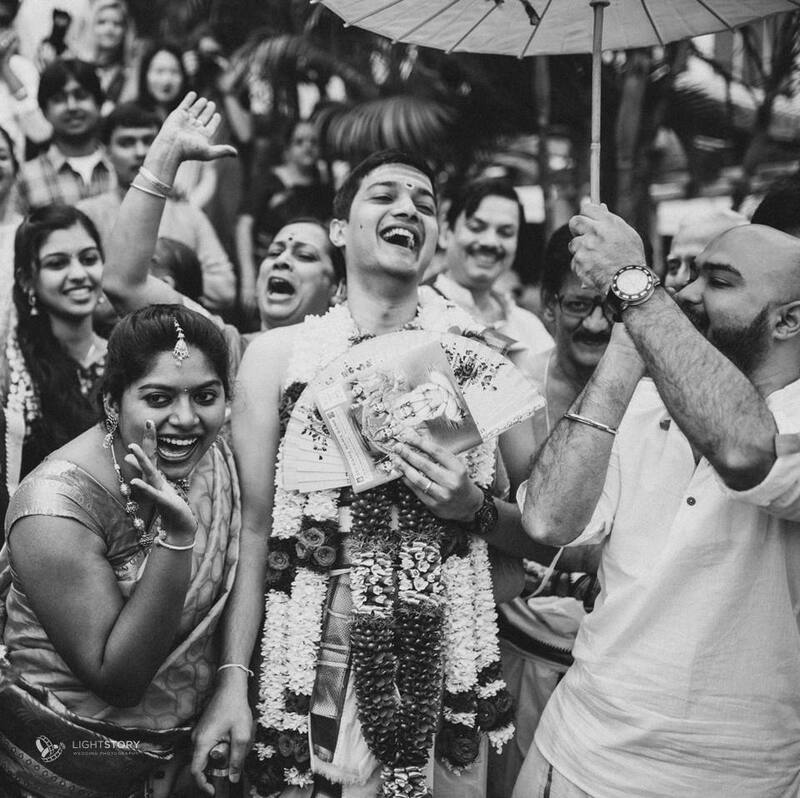 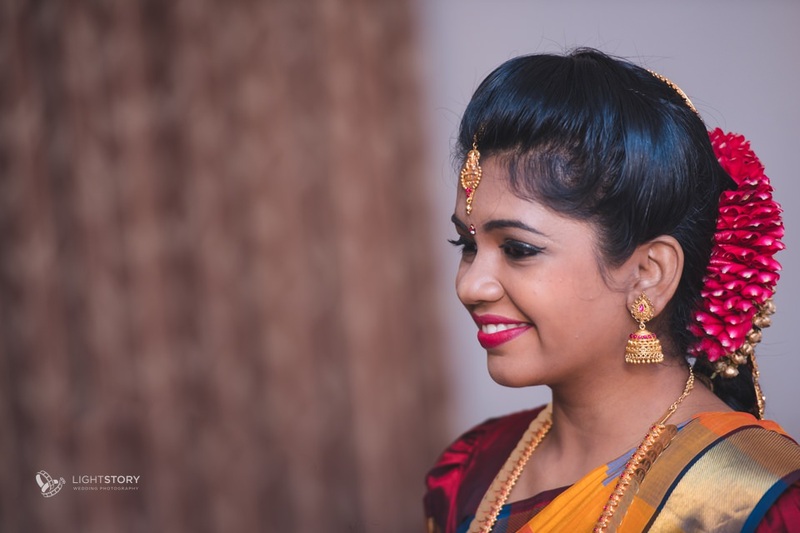 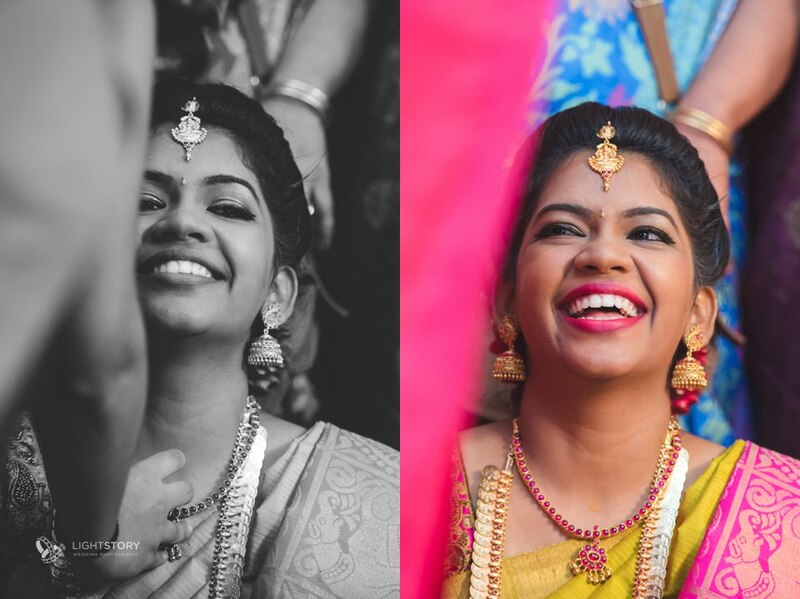 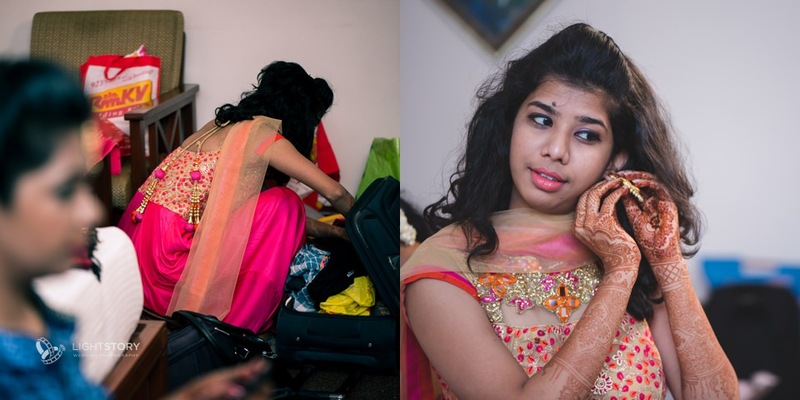 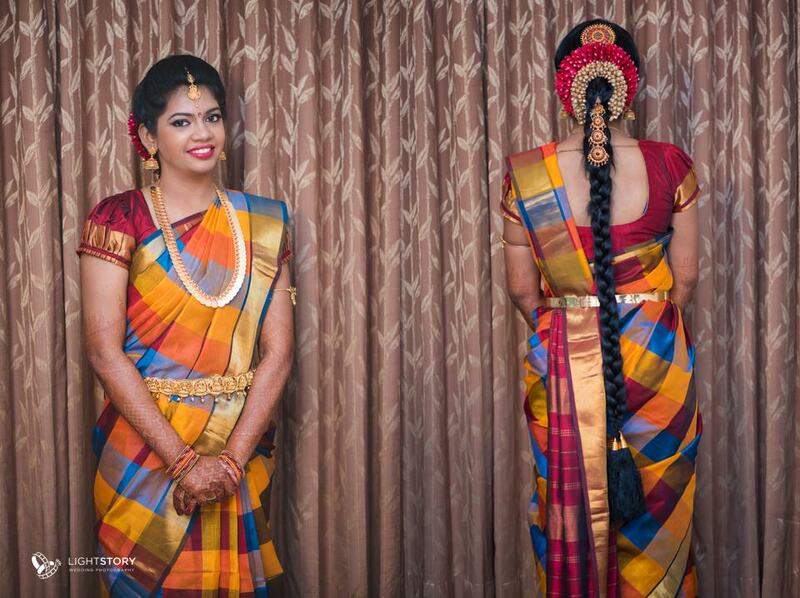 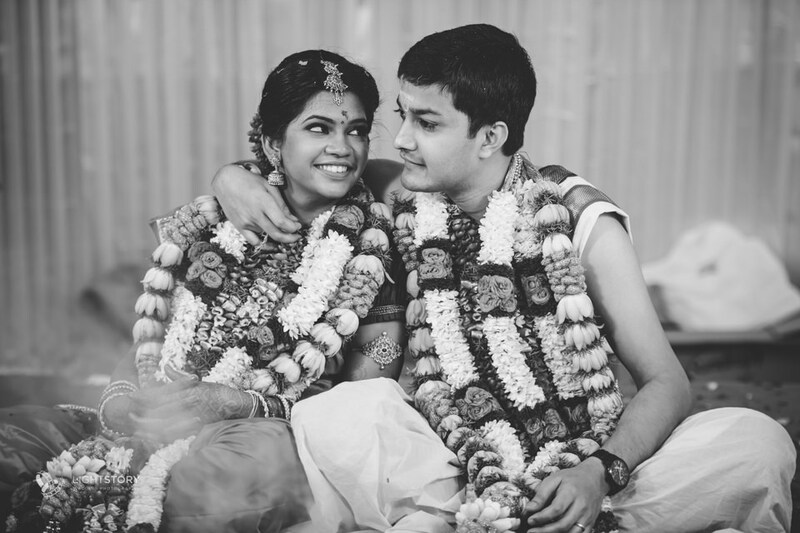 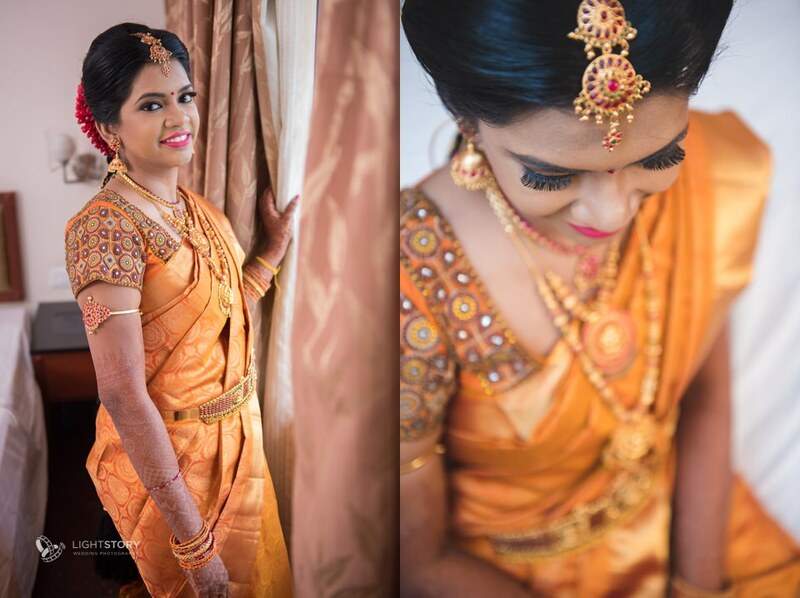 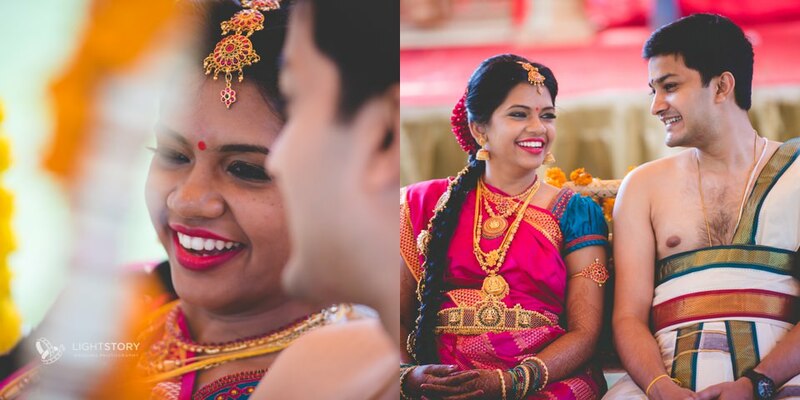 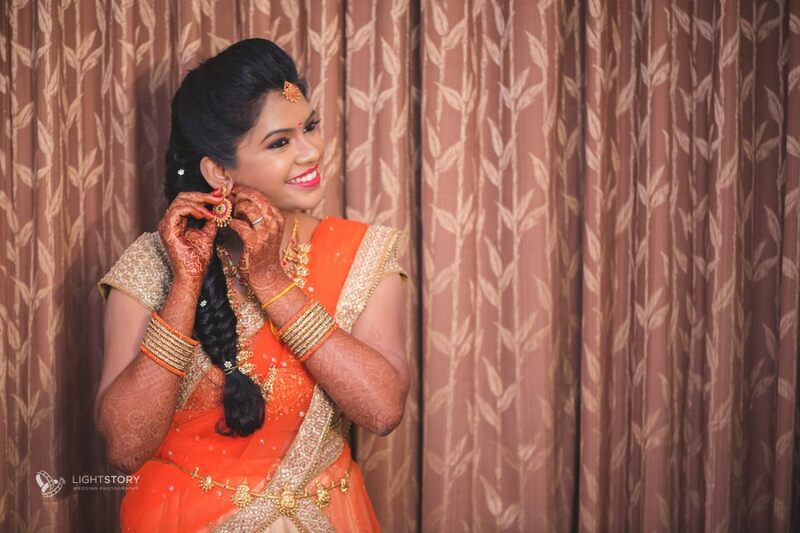 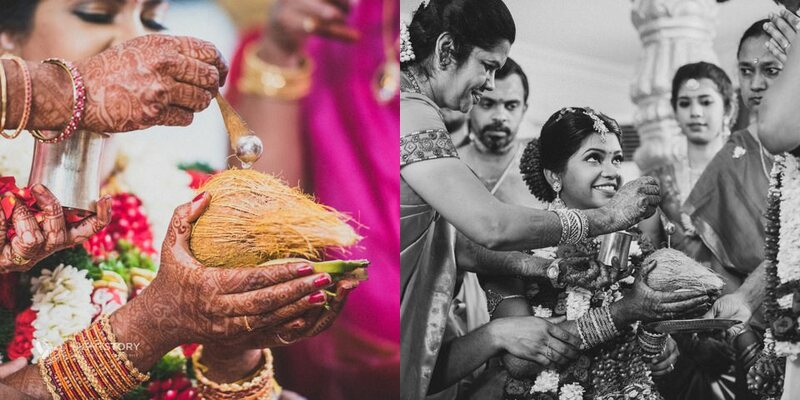 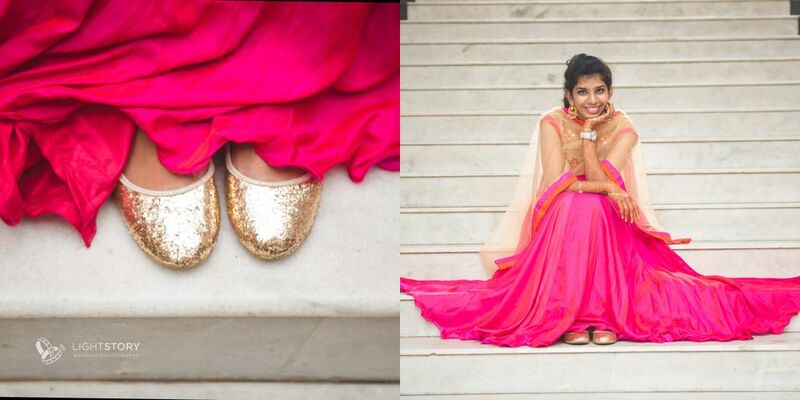 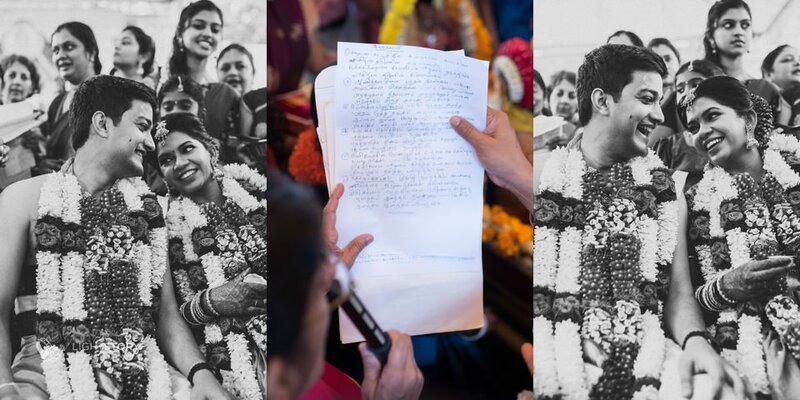 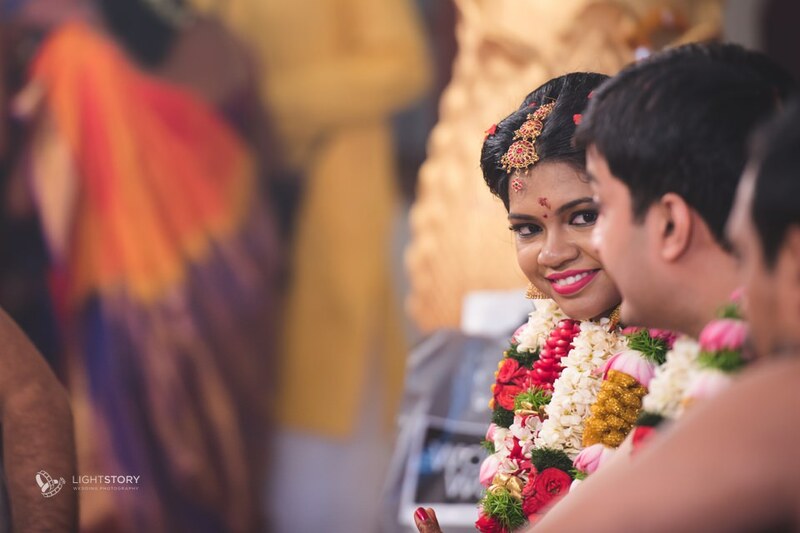 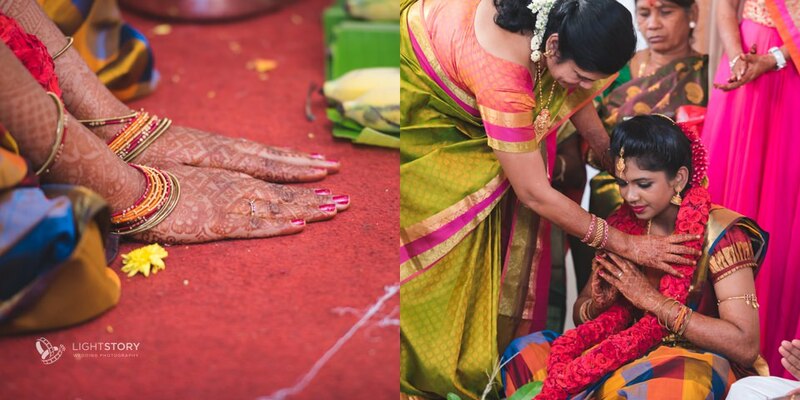 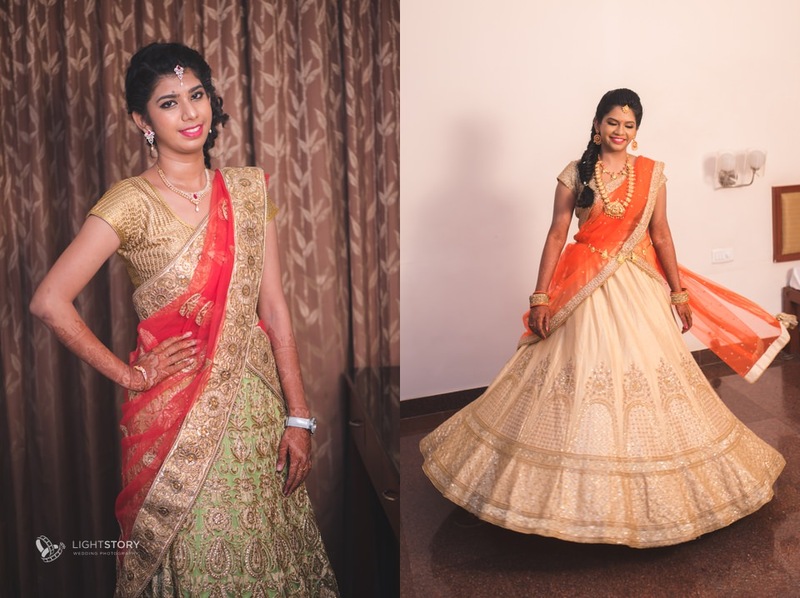 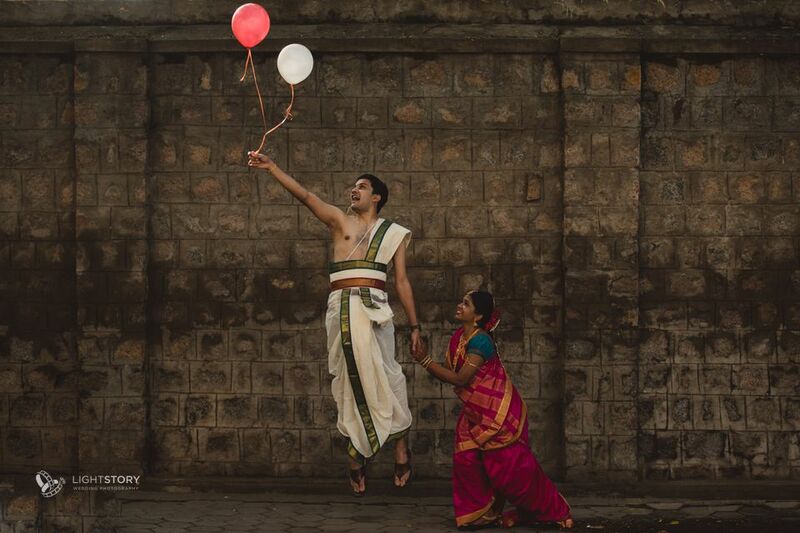 As soon as Gayathri got in touch with us with her love story, we were super excited to shoot the wedding. 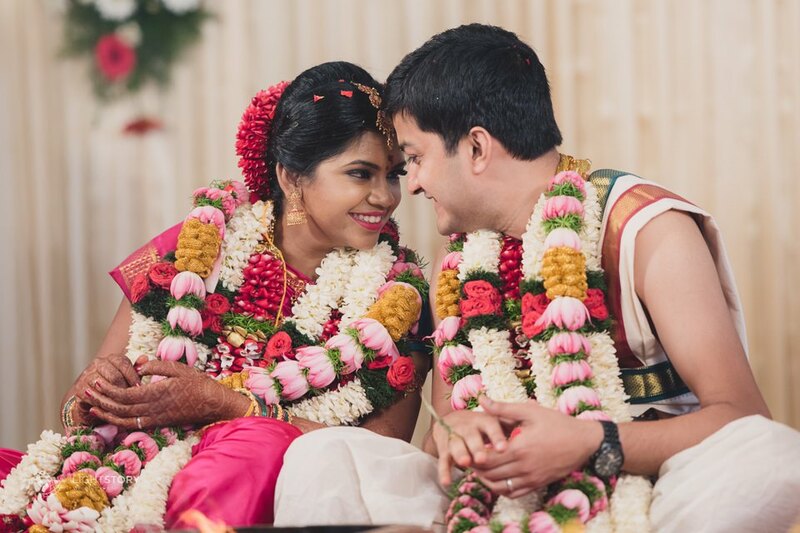 We discussed and planned every little detail about the two-day wedding celebrations so we could get vibrant images of all that was important to the couple. 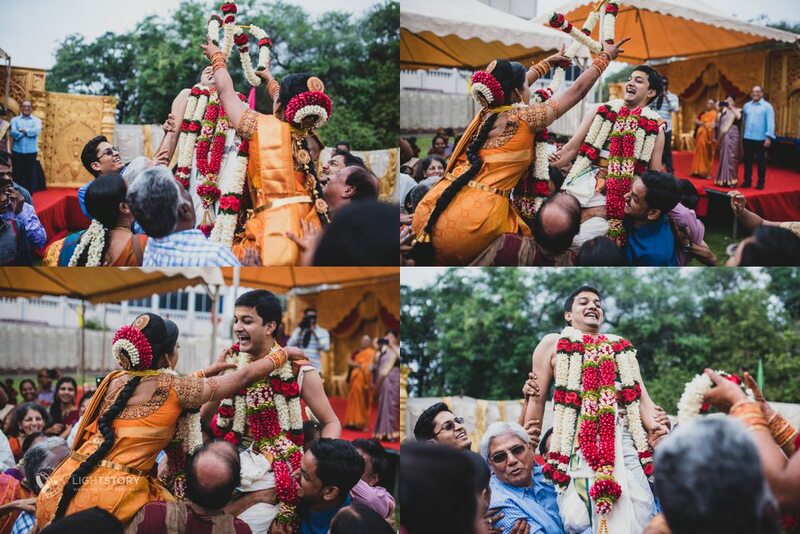 It was a fun filled wedding with both the families coming together for the celebrations. 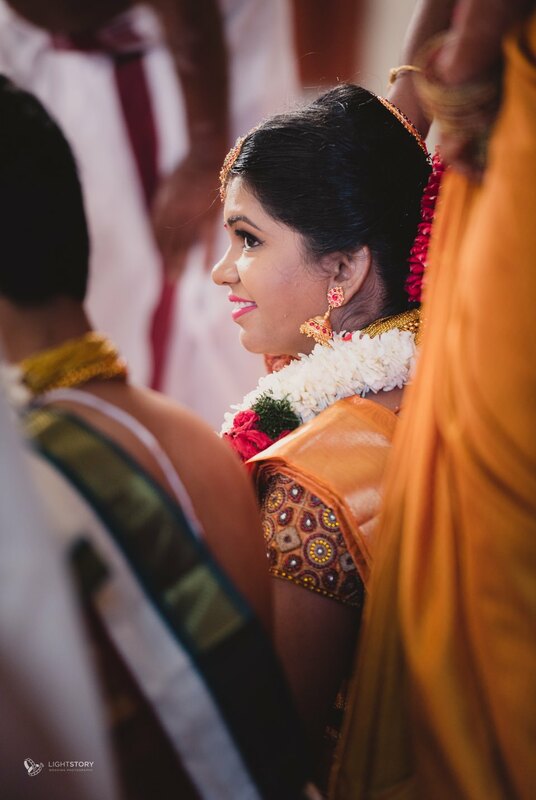 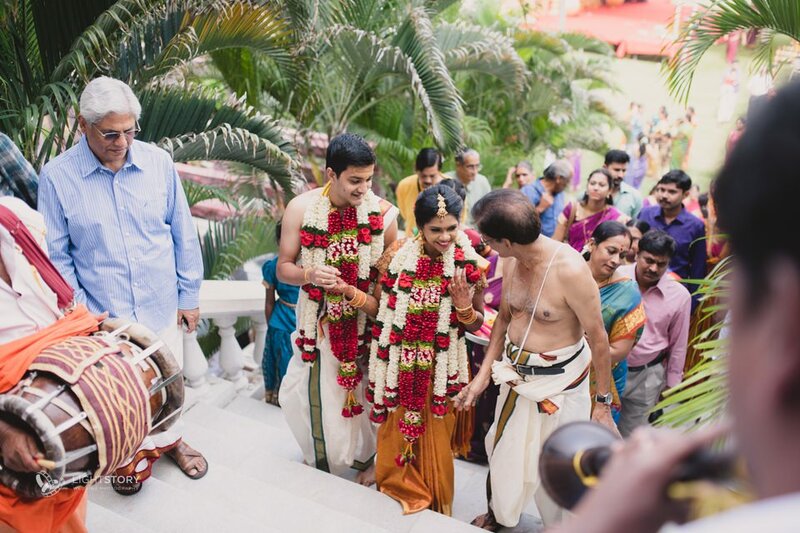 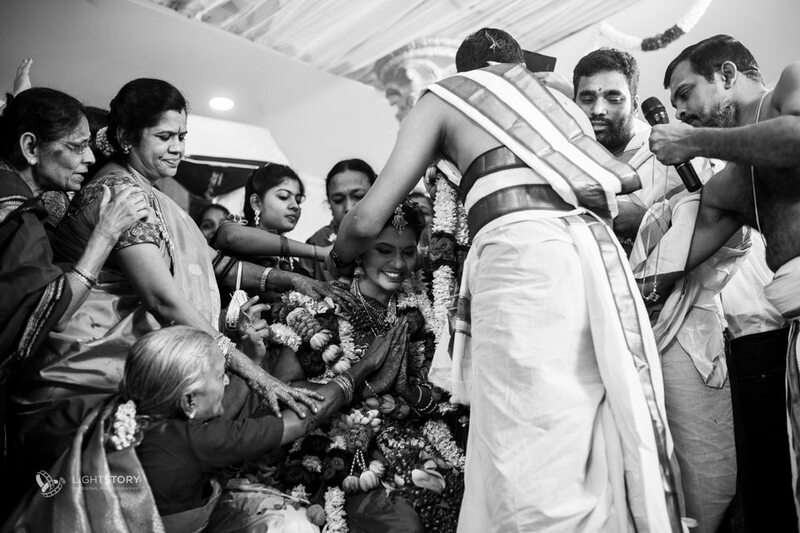 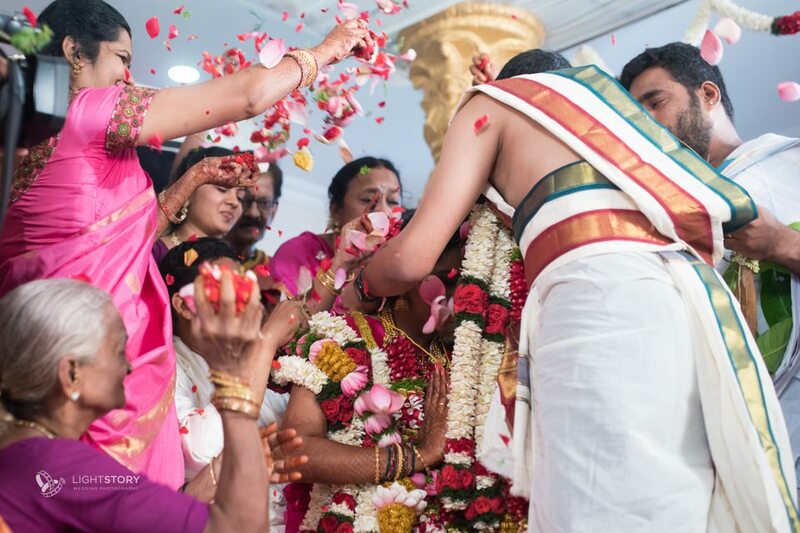 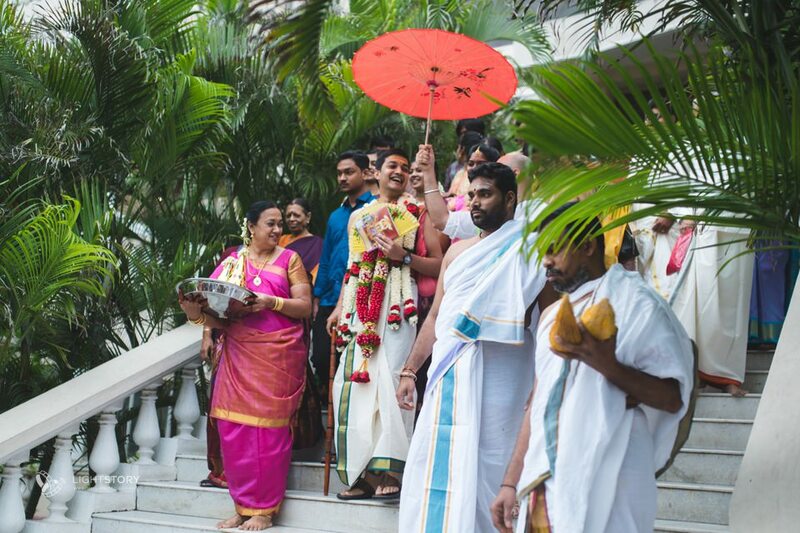 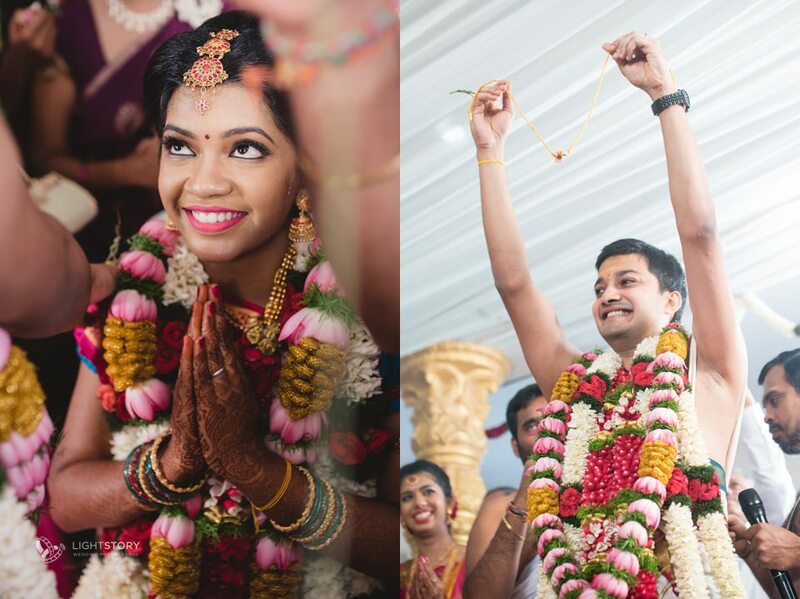 It was also a welcome change to see the bride and groom being cheerful through the long ceremonies of the tamil brahmin wedding. 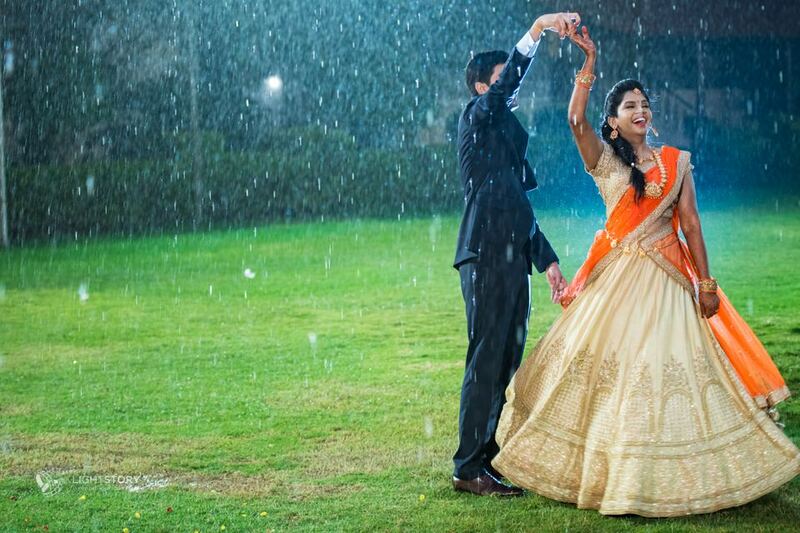 Reception in the lawn was well planned but it started raining. 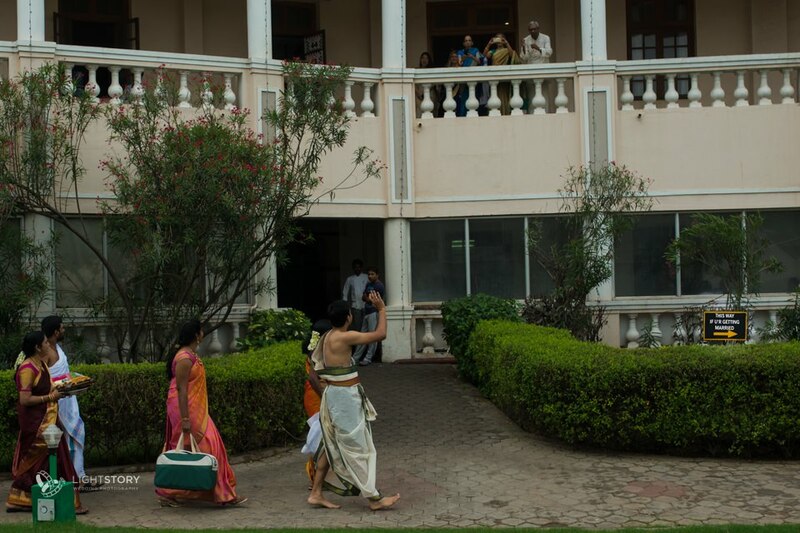 However, it did not dampen anybody's spirit. 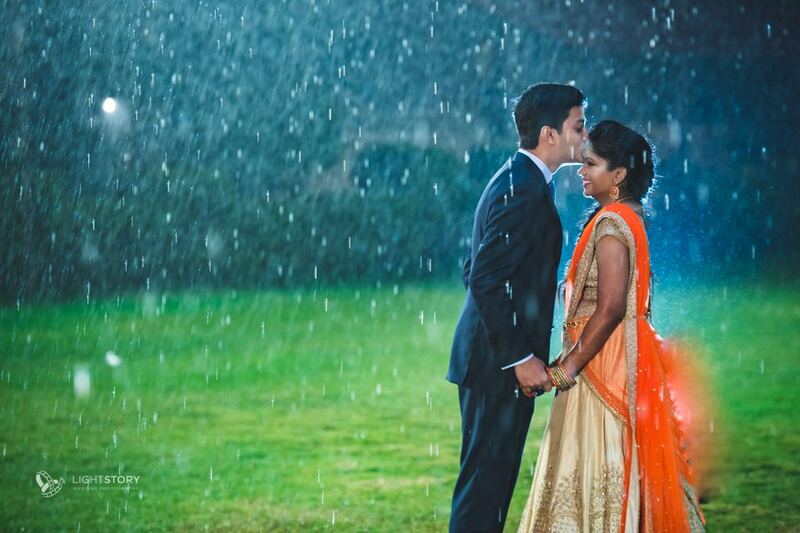 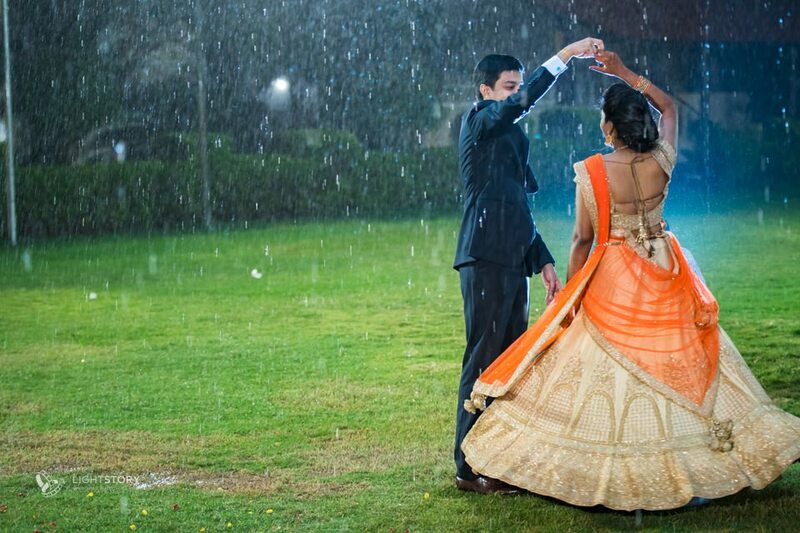 Their friends and family were shaking a leg and we made the most out of the rain to get some very romantic shots of the couple. 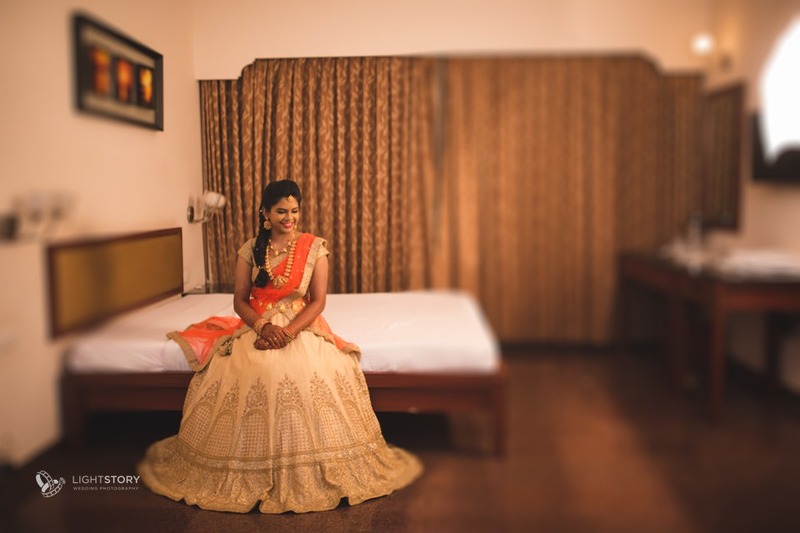 The bride had planned all her outfits to the tee - all very individual and classy. 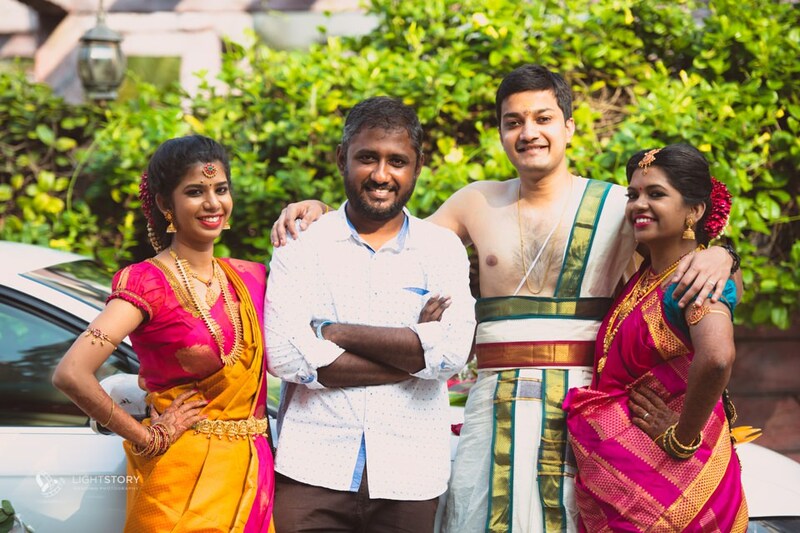 The guests were swooned by the contemporary chequered silk saree, the striking nine yards saree and the elegant lehenga.